In our lab, we are working on different subjects connected with practical applications of autonomous aerial robots with a certain level of on-board intelligence. The MARVIN project was part of the COMETS project which was funded by the European Community. The project's main objective was to design and implement a distributed control system for cooperative activities using heterogeneous Unmanned Aerial Vehicles (UAVs). 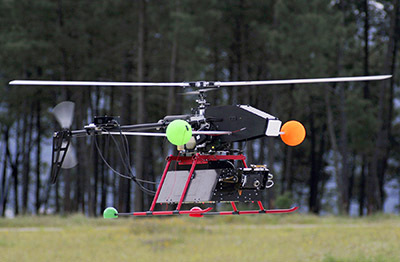 Unmanned helicopters and airships are included. One outcome on the side of TU Berlin was the development of a completely new Marvin version. MARVIN Mark II. 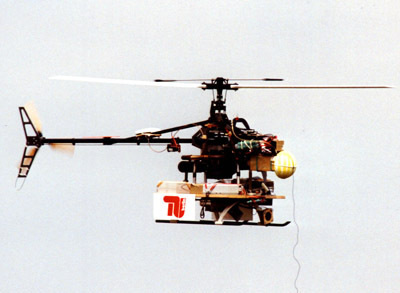 A second generation unmanned aerial vehicle (UAV) in autonomous flight. MARVIN has won the competition on June 30th, 2000. Again MARVIN was the only robot in the competition to fly autonomously, recognize target drums and persons and correctly transmit the positions. Press release in German. Please visit the "Photo Gallery for the AD2000 Millennial Event at HAMMER" offered from the AUVSI. 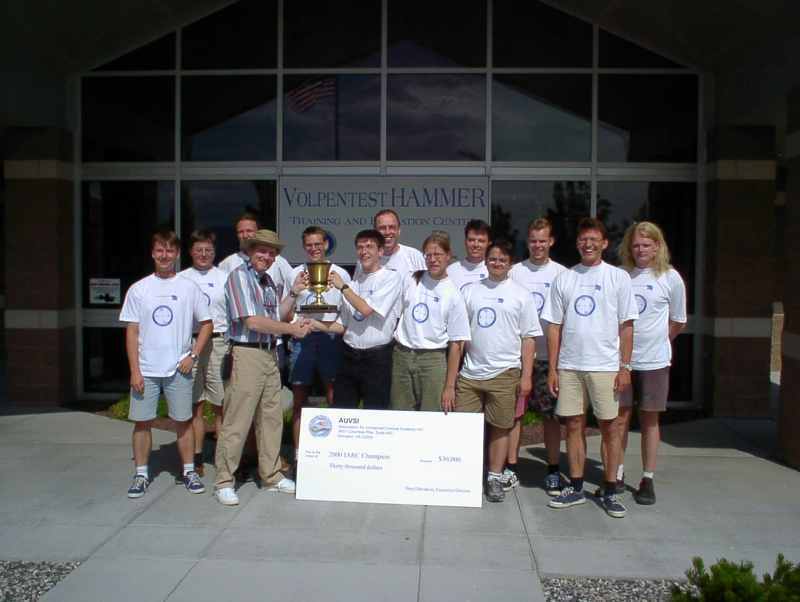 A year before MARVIN has taken the lead of the competition on June 26th, 1999.
recognize a target drum and correctly transmit its position. Press release in German. MARVIN Mark I. An early version shown, but already doing autonomous flight.